Creo Mark 1 | A New Phone Every Month? Creo is a startup company in Bangalore. 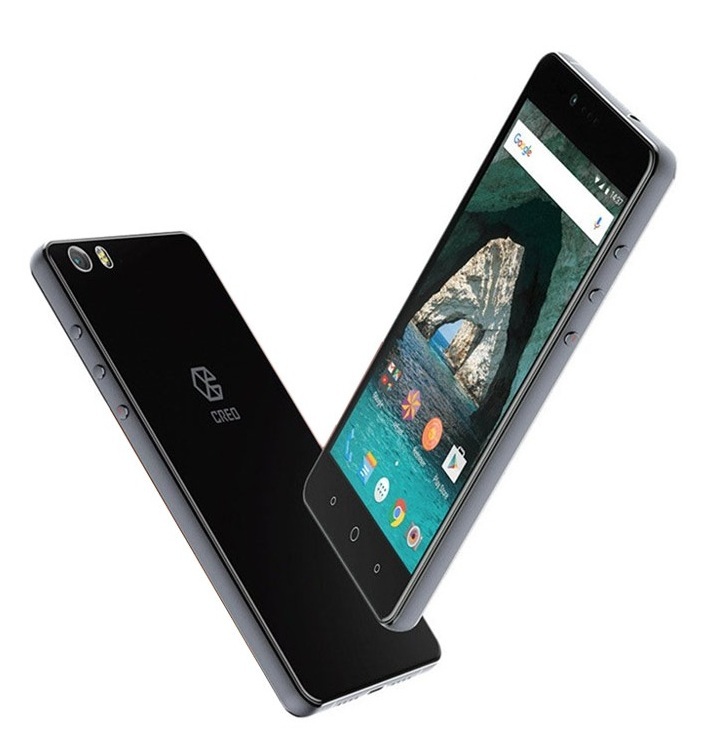 Creo have come up with its first phone named as Creo Mark 1. The Mark 1 sports a Media-Tek Octa Core Helio x10 CPU, 3 GB Ram, 5.5 inch Quad HD display & 32 GB internal storage which is expandable. Now you all must be thinking that what with the New Phone Every Month Thing? Let me tell you, this is the promise which Creo itself has made to every person who will buy their phone. But wait you are not literally getting a new phone every month. Pun. By this statement they mean they will provide new Update to OS of its phone so at least you can feel your phone as new, software wise. The Creo Mark 1 Based on Android OS which is layered by Fuel UI. The company is going to add features and customization to its UI. Though this concept is not new Xiaomi aslo provides frequent updates for its phone. Rest we have to wait and see how this device performs in the market. Talking about Fuel OS it has some great features such as Sense which is a universal search engine which can find anything on the phone which can be called by a double tapping on the screen. Another feature called Echo which a mail service which sends a mail if the SIM card is replaced or removed. Octa Core Media-Tek Helio X10 CPU. Corning Gorilla Glass protection 3. 21 MP Sony IMX 230 Rear camera with 4 K Video & slow motion video recording support. Whereas an 8 MP Front camera with 3D Photo, Live Photo, Beautify Mode. OS Android OS v 5.1.1. (Lollipop). Layered With Fuel OS. CPU/GPU 1.95 GHz Octa Core Media-Tek Helio X10 CPU.| GPU Power VR G-6200. DISPLAY 5.5 Inch Quad H.D IPS Display. Resolution 1440 x 2560 pixels. (~534 p.p.i pixel density). CAMERA REAR 21 MP Sony IMX 230 Sensor. With auto focus, and LED flash. | Features: Geo-tagging, touch focus, face/smile detection, panorama, H.D.R. | Video Features: 4 K Video Recording Support, 2160 p@30 fps (2 K Recording), 1080 p@ 60 fps, 720 p@ 120 fps (slow motion video). H.D.R recording | FRONT/SELFIE CAMERA 8 MP. BATTERY Non-removable Li-Po 3100 mAh. STORAGE 32 GB Internal. Exandable up to 128 GB Via Micro SD card. FEATURES Frequent software updates . | Fast Battery Charging | Quad H.D Display. | Corning Gorilla Glass 3. | Rear camera with 4K Video support. | 4 G Support. SENSORS Accelerometer, gyro, proximity, compass. CONNECTIVITY Bluetooth v 4.0. | W.I-F.I 802.11 b/g/n/ac, W.I-F.I Direct, Hot spot, Dual Band. | Dual SIM (G.S.M) Size Micro SIM & Nano SIM. It is now Listed At Flipkart for a price tag of 19,999 Rupees in India. It is available in Gun Metal Black Color. Wanna Buy Creo Mark 1 Check Here Flipkart Official Site Link. Do Share Your Views About This Phone Via Comments.